Your photoluminescents can be rigid too. The same HD sharp definition. The same rich colours. The same levels of safety. All on rigid, laminated, photoluminescent board. 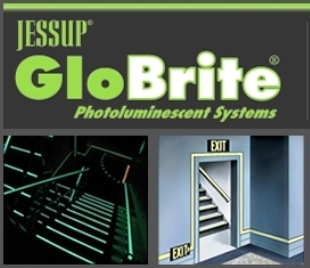 Glo-Brite® photoluminescent board is designed for the same safety signage applications as its tape/film counterparts (marine, building, rail, military). It is a film/foil/OPP safety grade photoluminescent board which significantly exceeds the requirements for PSPA Class B (7535R) and Class C (7555R). 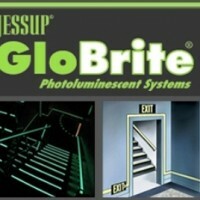 Why Jessup Glo-Brite® 7535R &7555R photoluminescent sheets? Easy printing: Solvent. Eco-solvent. UV. Whatever inks you choose, and however you print them, exceptional ink adhesion means edges are crisper and colours sharper. Glo-Brite® photoluminescent boards exceed the performance requirements of PSPA Class B (7535R) and Class C (7555R). They contain none of the substances of very high concern (SVHCs) or banned substances as identified by the REACH standard.